This Princeton Weekly Bulletin article summarizes the work of Duane Moser and Tullis Onstott from Princeton University. 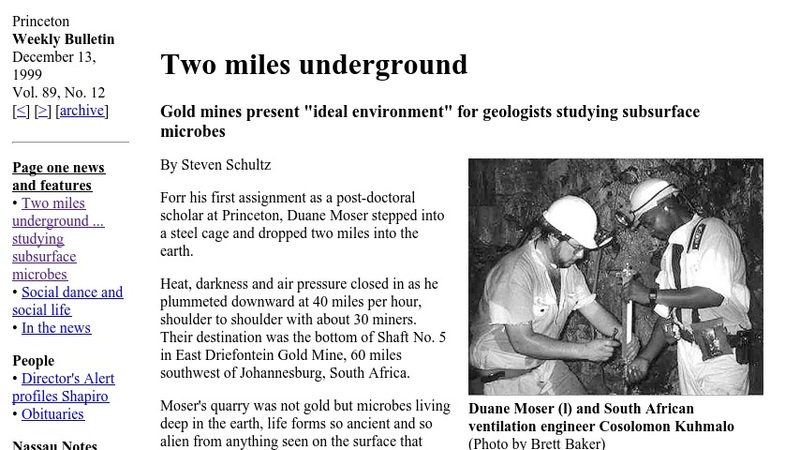 They are studying microbial life in the East Driefontein Gold Mine in South Africa. These microbes grow in the hot, dark, and anoxic environment deep beneath the Earth's surface, surviving on water, gases, and rock.